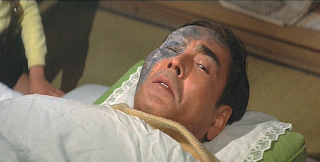 Dr. Yano post Hedorah attack. water as a little tadpole like creature. We learn that when there are multiples of these creatures they join together to form one larger creature. It is then discovered that these creatures are small Hedorah and that they are the result of pollution and liter on earth. Ken begins having dreams about Godzilla fighting the worlds pollution and insist that Godzilla will come to save them from Hedorah and the pollution. 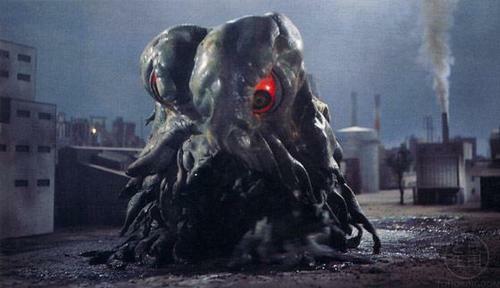 Shortly after Ken's dream Hedorah comes to shore and has grown Hedorah begins feeding on pollution from smoke stacks in Japans industrial area. Hedorah begins to grow larger and larger as he feeds. Godzilla drawn by Hedorah's horrible stench comes to shore and begins battling Hedorah chunks of Hedorah start flying all over the place splattering everywhere and killing people as Godzilla attempts to defeat Hedorah. The chunks become their own living entity and move around picking up more garbage and pollution getting larger. The fight goes on between Godzilla and Hedorah, Godzilla easily beats the small Hedorah. Hedorah retreats and all the pieces of Hedorah that were lost in the battle return to Hedorah. Hedorah flies over Japan expelling poisonous gases killing thousand instantly. Those that fall to Hedorah's poisonous gas collapse and are reduced to just a pile of bones in seconds. 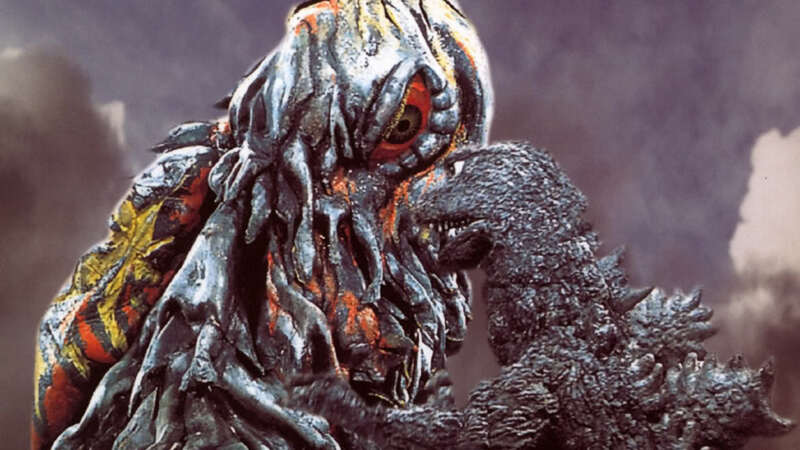 Godzilla faces the flying form and this time Godzilla gets hurt he gets hit in the eye by Hedorah's sludge and it gets injured just like Dr. Yano's face. Dr. Yano discovers back at his house that Hedorah can be immobilized if he is dried out, Dr. Yano then informs the military of his discovery. The military then constructs two massive electrodes in order to dry out Hedorah. Godzilla and Hedorah begin fighting on Mt. Fuji where the military is setting up the electrodes. During the fight between Hedorah and Godzilla they end up knocking down the power lines that are running to the electrodes. When Godzilla gets Hedorah to the electrodes he fires his atomic ray at Hedorah and the Radiation powers the electrodes hurting Hedorah. Godzilla begins shooting the electrodes and Hedorah falls. 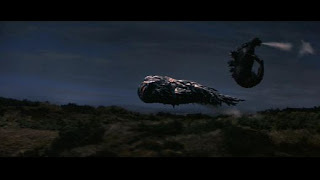 Godzilla begins ripping Hedorah's carcass apart and crushing it when a smaller Hedorah jumps out of the carcass and takes flight. 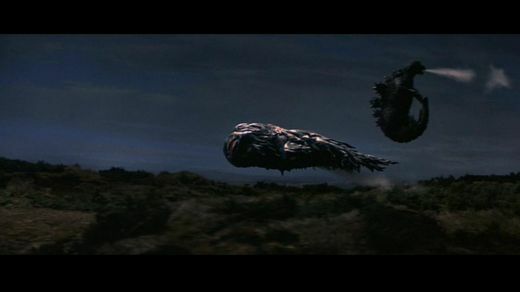 Godzilla then uses his atomic ray to launch himself in the air and fly after the Hedorah. Godzilla drags Hedorah back to the electrodes and begins drying Hedorah out with the electrodes. This time Godzilla makes sure every part of Hedorah is dried and he crushes Hedorah's body until all that remains is dust. Godzilla returns to the ocean and the movie ends asking if Hedorah will return again? Picture from the trippy club scene. sequences with the song Save The Earth the scenes were kind of trippy and I did not really get them, one of the scenes involved a bar and the guy was hallucinating that everyone in the bar had fish as heads kind of whacky. Something interesting that I read was that the actor that was wearing the Hedorah costume came down with appendicitis while filming and was actually operated on while he was wearing the costume because it took to long to take the costume off, I wish there were pictures of that can you imagine seeing a Hedorah on the operation table. The writer of this movie attempted to make a sequel several times, he even is involved with the new 2014 Godzilla movie and attempted to make it a movie about Hedorah again but as far as I know that was shot down also. Hedorah only appeared again briefly in Godzilla Final Wars. This movie was pretty good if you are a Kaiju and Godzilla fan so as I always say "check it out" I have yet to see a Kaiju movie that is so bad that I would tell anyone not to watch it from what I heard Death Kappa is that type of Kaiju movie but I will be watching Death Kappa once I get my hands on it no matter what the reviews say and I will review it myself for all you readers and let you know if you should save your money or not. I will be covering the Hedorah sequels that never happened in a "What Could Have Been" article sometime in the next few weeks, I will also be reviewing Destroy All Monsters, Gamera(that's right Gamera be excited! 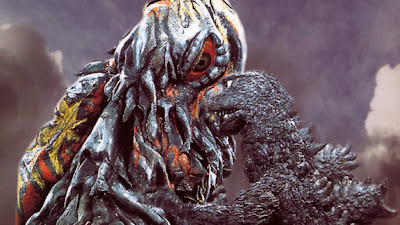 ), and Gamera vs Barugon. I also just ordered both the Hanna-Barbera Godzilla T.V. series and the Sony Series that followed Zilla, so I will also be reviewing all episodes of both series individually as well. I would like to start reviewing the Godzilla novels also, I own two of them and read both a very long time ago so I will need to start collecting those and reading those, but don't expect the book reviews anytime soon as I am a slow reader and I have to finish a few books before I get to the Godzilla books. If you would like me to review anything else please comment and ask I will gladly review anything Kaiju. Here is the Save The Earth opening this is not as bad as the actual bar scene where they sing but the song it self is kind of annoying."